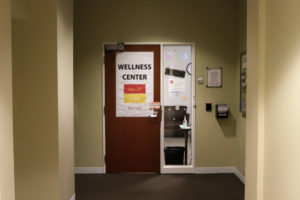 Mary Dolan | The Phoenix Students gearing up for post-graduate jobs or summer internships can use Loyola’s Career Development Center or look online for help with applications. As the school year comes to an end, students are looking for ways to spend their summer. Some students will spend the next three months completing an internship. Participating in an internship has many benefits, including resume building, networking and learning workplace skills. Here’s some information and tips for applying for jobs and internships. Do I need to complete an internship to graduate? Academic internship courses can be used to fulfill the engaged learning requirement needed to graduate from Loyola. This means while a student is completing an internship they’re also enrolled in a corresponding class at Loyola. Other options to fulfill the engaged learning requirement include research courses, community service courses, public performance courses and field work. Requirements for academic internship courses can vary for each department offering them. Students should contact their department internship coordinator for more information. A list of internship course coordinators and their contact information can be found on Loyola’s website. What are some benefits to completing more than one internship? Participating in multiple internships helps students get a job or enter graduate school within six months of graduation, according to a study completed by the National Association of Colleges and Employers for Career Development and Talent Acquisition. Taking more than one internship allows students to explore different areas in their chosen field, according to Jona Goldschmidt, a professor and internship course coordinator in Loyola’s Criminal Justice and Criminology department. He said he assists students in finding internships in various criminal justice fields. What are some tips to create a good cover letter? Cover letters are often a mandatory part of an application, according to Goldschmidt. He said they should be clear, grammatically correct and look professional. Some employers will view cover letters before viewing a resume, according to Patty Lamberti, the director of Loyola’s multimedia journalism program and a professor who runs its internship course. She said it’s important to impress employers within the first few lines of the letter. How can I find a job or internship if I don’t have many connections? Students can look for internships on online job-search sites such as Internships.com, on company websites or Loyola’s own job site, RamblerLink. 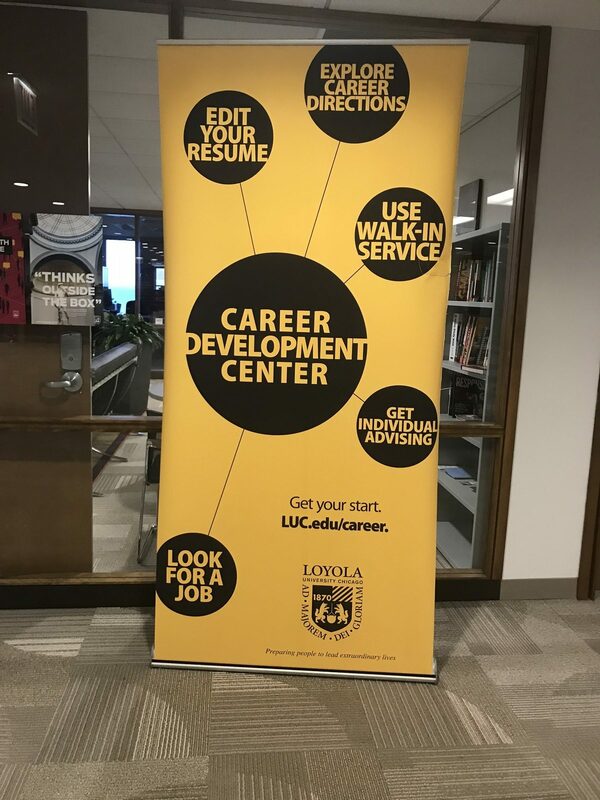 Loyola’s Career Development Center also provides the LUConnect program to help students with networking. It allows students to look at profiles of Loyola alumni and connect with them, according to its website. The Career Center also holds workshops and career fairs throughout the year to help students create connections. Creating a network is another great way to find internships, according to Arleen Luhmann, a statistics and economics major who’s completed two internships during her time at Loyola. Professors can also be a great resources for applying to jobs and internships, according to Daria Derda, a computer science major. What else can I do to be a stand out applicant? Having a solid list of references is important to employers, according to Mary Joan Schultheisz, a vice president at NuZoo Media. She said they mostly hire interns in their marketing, video and web departments. In interviews, some employers will ask about group projects, according to Schultheisz. She said applicants should be able to articulate their own role in a project to interviewers. Having an online presence is also something employers look for, according to Lamberti. One way to excel is to build a LinkedIn profile filled with sections of coursework, accomplishments and recommendations. I’m about to graduate and want to avoid unemployment, what should I do? The stakes are higher for applying to full-time jobs, according to Lamberti. If you’re applying for your dream job in a company, the cover letter should be 100 percent tailored to show why you admire a certain company, Lamberti said. Internships have an end date; full-time jobs don’t, Lamberti said. Students should make sure they know and like the position they’re applying for. If a student wants to and can move after graduation, students should address it in their cover letters, Lamberti said. Students approaching graduation should begin applying for jobs a few months before graduating, according to Lamberti. She said it’s never too early for students to begin researching job titles and salaries to prepare for applications and interviews. Loyola students seeking employment outside of Chicago can request use of job/internship services from other Jesuit universities across the United States through The Jesuit Career Center Consortium, according to Loyola’s website.